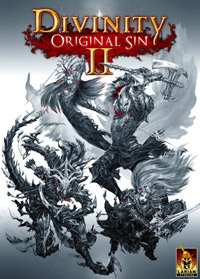 A direct sequel to Divinity: Original Sin and another installment in the popular RPG series launched in 2002 by the Belgian developer, Larian Studios. Divinity: Original Sin II for PC, PS4 and XONE is a conventional RPG played from an isometric view. Offering a high difficulty level and a turn-based combat system, the game is the fifth full-fledged installment in the Divinity series, and it constitutes a direct continuation to the well-received Divinity: Original Sin, which came out in June 2014. Similar to the predecessing game, Divinity: Original Sin II was created by Larian – a Belgian development studio. It is also worth noticing, that the production process was partially financed through a crowd-funding campaign on Kickstarter (over 2 million dollars were gathered). The player is again taken to a fantasy world known as Rivellon, though the story is set about a thousand years after the events depicted in Divinity: Original Sin (right after Beyond Divinity). However, this time the player assumes the role of a character that uses the power of the Source – in contrast to that, the predecessing game placed the player in control of two hunters that were after the adepts of this forbidden magic. The conflict between the two groups continues on, and the player-controlled character is on the run from the representatives of the Order trying to track them down. Simultaneously, the protagonist struggles to put an end to the crisis caused by the invasion of monsters from the Void (this resulted from the death of the Divine). This entire layout also brings an atmosphere that is different to that offered by the first Original Sin, as it is visibly heavier and more serious here. This time around, the player begins with creating one, central character that represents one of several available races. Another important novelty in the character creation process is constituted by assigning a biographic background to one's avatar. Depending on the protagonist's background (also, they can be male or female), the inhabitants of the game world react to their presence in various ways and can even give them different quests. As a result, the role-playing layer of the game is more profound than in the predecessing game, and problems placed in front of the protagonist can be solved in more ways. Divinity: Original Sin II for PC, PS4 and XONE extends the mechanics developed in the previous installments. The largest changes were introduced into the combat system, as an ability to climb platforms or towers was added, and the influence of heights on characters' fighting abilities was taken into account. Action points are calculated here in a slightly simplified way, and performing most actions costs 1-3 points. Furthermore, the creators included new skills and element combinations – making a good use of these can tip the balance in favour of the player's victory in combat. The powers of the Source constitute another novelty; although the player is required to refill the special Source points in order to use those powers, they gain access to exceptionally powerful and dangerous abilities in so doing. As previously, the adventure can be experienced in the co-op mode, this time for up to 4 players. Interestingly however, cooperation can easily turn into rivalry, as because of different backgrounds, characters can have contradictory goals to be achieved in the same situations. Apart from that, Larian Studios included a separate, PvP mode, which places groups of four players against one another on arenas designed with creativity. The participants take on the roles of pre-defined characters and compete against one another in different variations of such classic modes as Free-for-All, Capture the Flag or King of the Hill. Divinity: Original Sin II for PC, PS4 and XONE utilizes an enhanced version of the engine used in production of Divinity: Original Sin, that is, the Divinity Engine 3.0. This technology provides significantly better graphics than in the previous Divinity game, apart from more advanced physics and support for DirectX 12.